The grinding and the combustion of natural resources such as wood and coal for energy production causes abrasive and thermal wear and decreases the service time of its wearing parts. 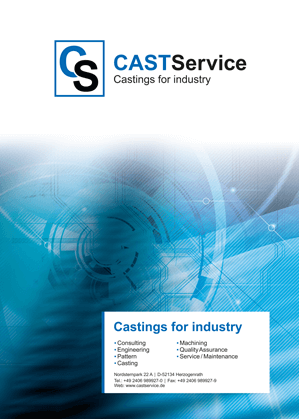 For problems we offer you a consistent solution: we develop and supply ready to install wear-cast-parts made out of heat resisting gray cast iron, highly heat resisting stainless steel casting and wear resisting heat treatable steel. The use of CS-specific-materials results in a higher service life. Our grate bars can be found in roller grates, feed grates, traveling grates or horizontal grates. The development and manufacturing of water-cooled grate bars is also part of our product line. Our services include the preinstallation of single grate lines in order to check the dimensional stability and quality. We can also offer customer specific solutions for the entry area and the outrun area of rotary kilns in the field of grinding tools and crushing tools.